Just something simple using some scrap pieces of patterned paper from Cosmo Cricket and K&Co.. Also a flower from Prima, clear rubber stamp from Heidi Swapp and a bracket die cut from the new "Hearts & Brackets" Sizzix die from Stampin' Up. 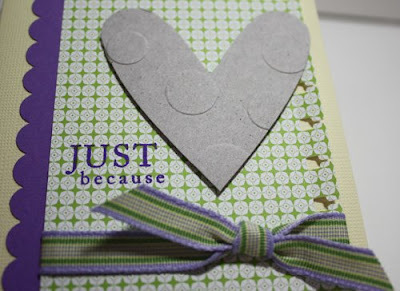 It's a little hard to see, but I also embossed the bracket using the Cuttlebug Swiss Dot embossing folder. 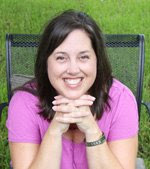 The brown ink is also from Stampin' Up. Next up is another simple card made with one of my new "Mega Mixed Messages" images from Papertrey Ink. 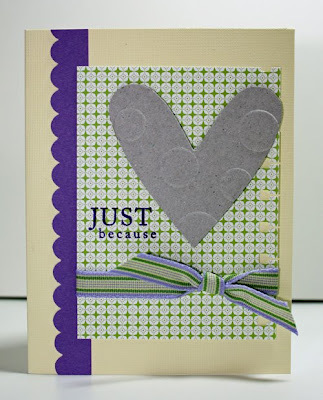 This heart die cut is also part of the "Hearts & Brackets" die as mentioned above. 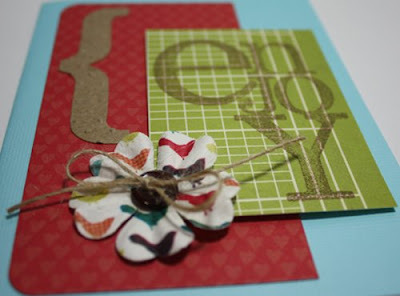 I embossed it using a Quickutz polka dot embossing folder. I can't remember where the striped ribbon came from but I love the color combo of pale yellow, purple and green. 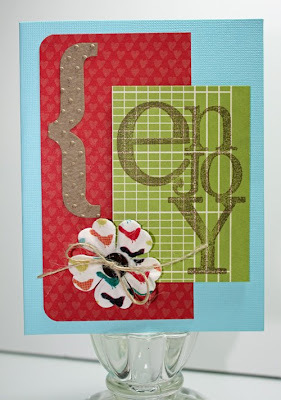 The border punches used on this card are all from Stampin' Up: the scallop edge and the notebook punch. Today's 2-fer is proof that sometimes when you keep things simple and use the tools that you love, it's easy to put together something cute. How about trying something with your favorite tools today?